Irish artist Linda Quinlan (born 1977) creates fragile installations which reflect our mortality and the world we live in. Quinlan works onsite, and often reconfigures materials from previous installations to carefully compose environments that respond directly to the specifics of the exhibition space. Quinlan took part in the Artists’ Residency Programme at IMMA in 2009, and at the Centre Cultural Irlandais, Paris, in 2012. Her work has been exhibited at Careof Gallery, Milan; Domaine Pommery, Reims; the Douglas Hyde Gallery, Dublin and the Lewis Glucksman Gallery, Cork. In her work Quinlan rapidly travels back and forth considering the mundane to the marvelous, exploring, gathering and avidly pursuing lines of enquiry beyond the everyday world. This ceaseless and restless investigation is driven by a curiosity that delves into a variety of subjects from Max Kaemper’s motives for cave exploration to Eileen Gray’s position on architecture, and thenceforth to Joesph Conrad’s, Heart of Darkness. Living and haunted by these subjects, points of connection begin to emerge, allowing the narrative to take shape and direction. Preoccupations of late exhume an interest in the lineage of ideas we have inherited, while considering the contexts we revisit them in. Often drawn to the hidden, overlooked and undefined, Quinlan’s work harbours exemplary accounts of individuals, brave enough to seize time, hold it and fill it with responsibility. A stop-motion project undertaken at IMMA draws on interests concerning visibility, exploring matters relating to what we see and how this tells us where we have been and who we turn to, to enrich our perspectives. 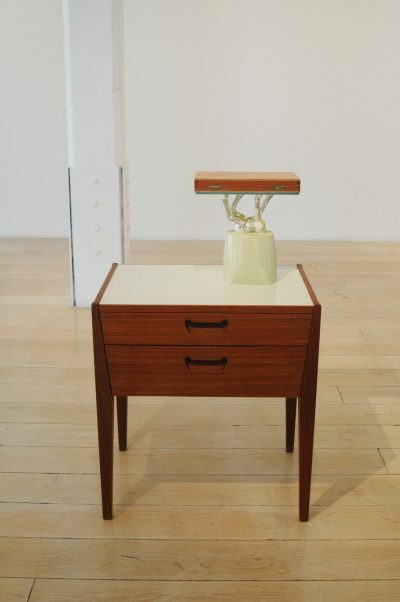 Quinlan’s work has been exhibited at Careof Gallery, Milan; Domaine Pommery, Reims; the Douglas Hyde Gallery, Dublin; IMMA, Dublin and the Glucksman, Cork. In 2006 she was awarded the AIB Art Prize. Recent awards include the Moving Image Award by Picture This, Bristol, in partnership with Visual Artist Ireland, and a residency at Centre Cultural Irlandais, Paris. Linda Quinlan’s work was shown in the Process Room, First Floor Galleries, from 14 to 27 September 2009.